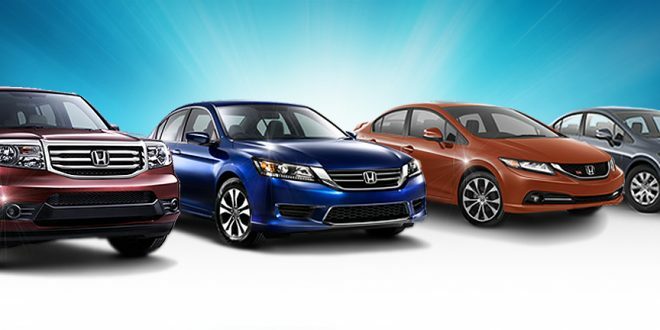 It will likely come as no surprise to you that small SUVs are making the biggest impression on new car buyers right now. 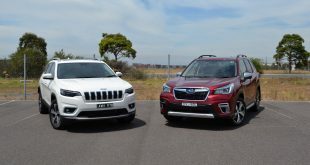 While SUVs as a whole account for over 40 per cent of new car sales in Australia, the small SUV segment is the fastest growing in the entire market with buyers flocking towards jacked-up hatchbacks like seagulls to a hot chip. 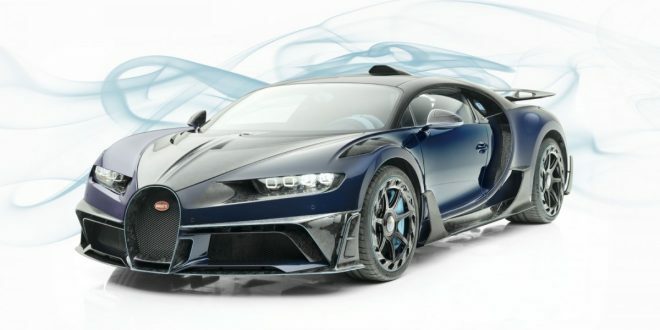 However, while people are buying far more luxury vehicles these days than ever before, sales of luxury cars went down six per cent in 2017 compared to the year before. 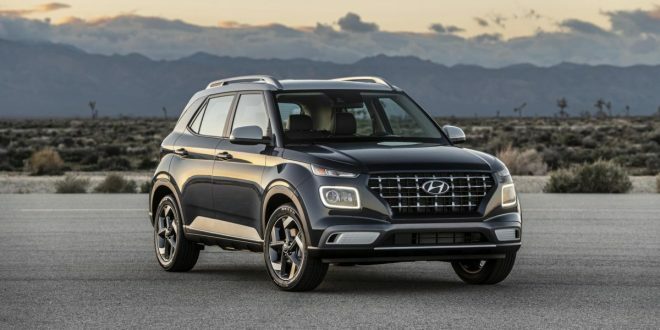 Unsurprisingly then, there are plenty of new crossovers from premium brands hitting the market helping them branch out into this booming segment. That’s why we brought together two of the newest and coolest of these small luxury SUVs – the Volvo XC40 T5 Momentum with the optional Launch Edition package, and the Jaguar E-Pace S P300. 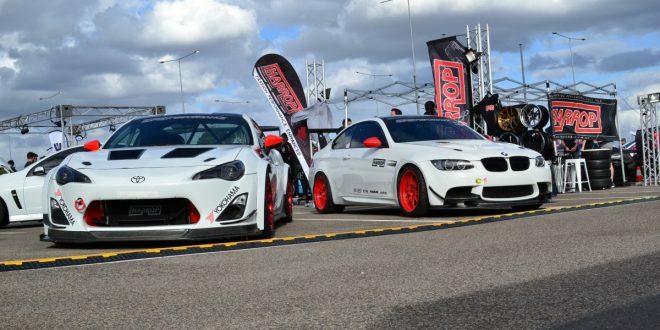 On paper, the two are very closely matched – both are at the lower end of their respective ranges, both have turbocharged 2.0-litre engines and all-wheel drive, both do 0-100km/h in 6.4 seconds, both can be specified with plenty of kit, and the tip-in point to their respective ranges is around $47K. But which of these two new entries is the better pick? That’s the very tough question we’re going to answer. 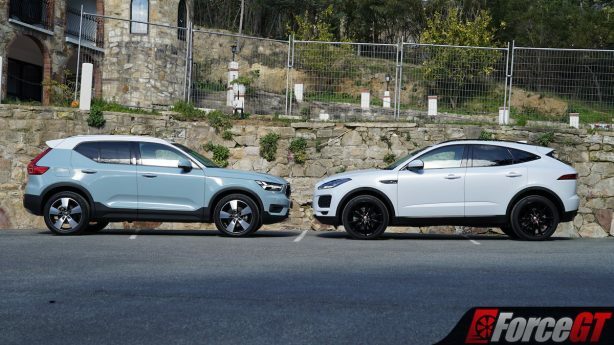 The first impressions both of these cars deliver are unquestionably very good ones, but while the two are dimensionally similar, their stylistic differences are clear. 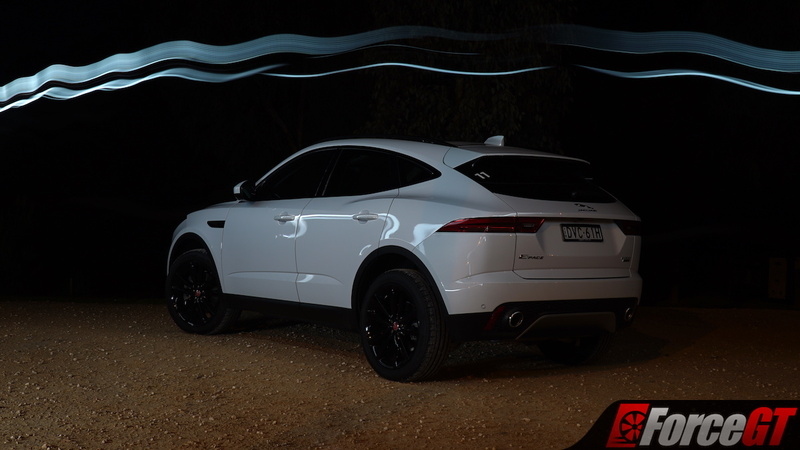 The E-Pace is, from the front, rather a cute little thing with an adorably happy expression on its face, while from the side, its sweeping roofline makes it look sleek and fittingly modern. 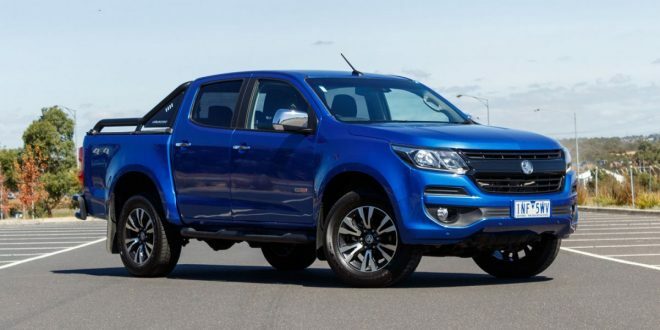 But it’s at the back where it falls apart a little – for me at least – as the flowing lines of the rest of the design come to a strangely squared-off end, while the hexagonal indentation on the tailgate for the number plate is far too large. The rear still isn’t too bad though, and the rest of the design is very attractive. Meanwhile, the XC40 looks unlike any other small SUV out there in a very good way, particularly in this Amazon Blue/White two-tone paint scheme exclusive to the Momentum Launch Edition models. 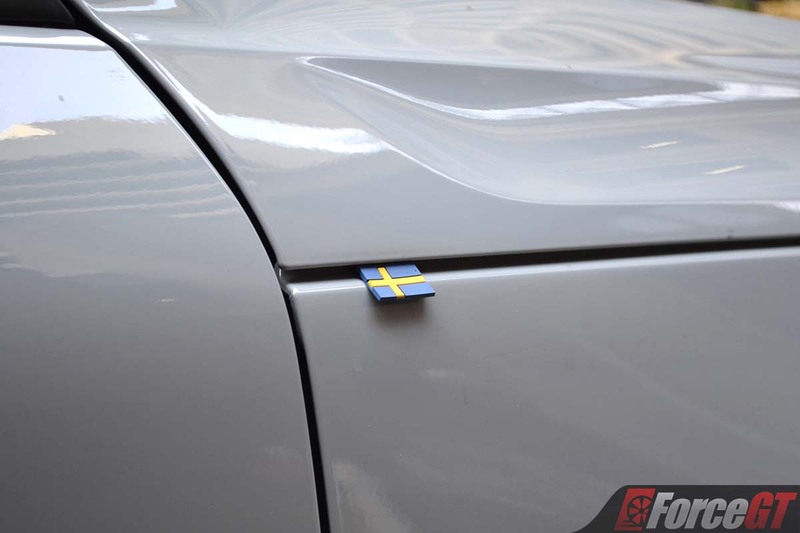 While the usual bits of Volvo design language are all there – the Thor’s Hammer running lights, the wide grille with upright slats, the indentation along the bottom of the doors, and the tall L-shaped taillights – the lines and angles are all far more exaggerated than on other Volvos. 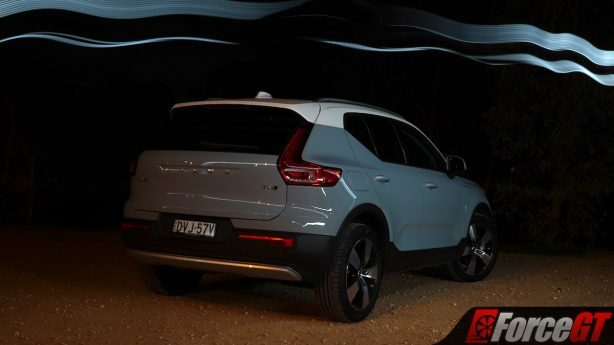 The protruding chin at the front and the upturned C-pillars stand out in particular, which, combined with the black plastic cladding around the bottom of the car and the unique 19-inch wheels that are exclusively added with the Launch Edition package, all go to make the XC40 stand out even more. 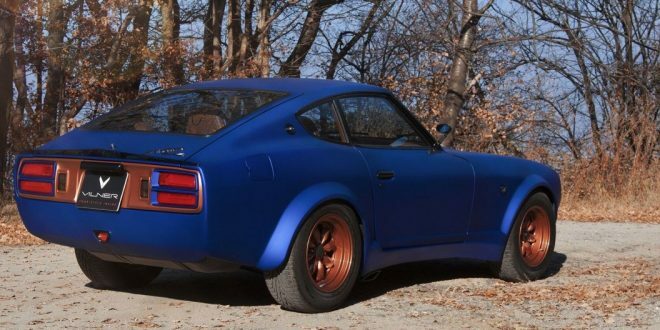 It’s funky and really as unique as a crossover like this could be. 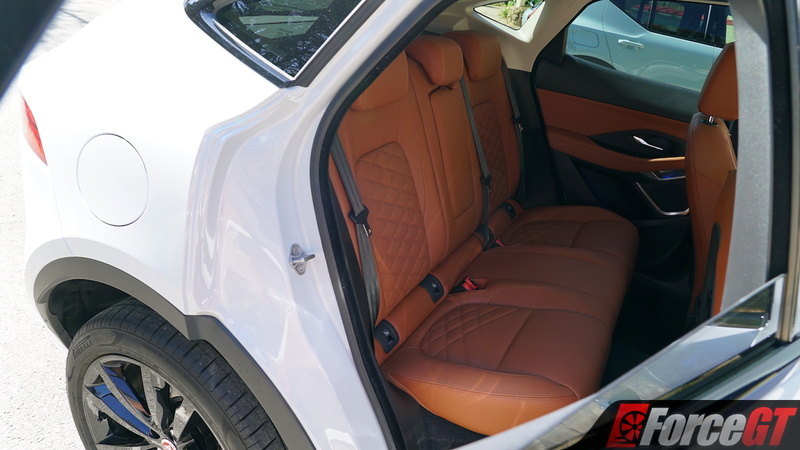 On the inside both cars are particularly striking too, both offering equally interesting interiors. 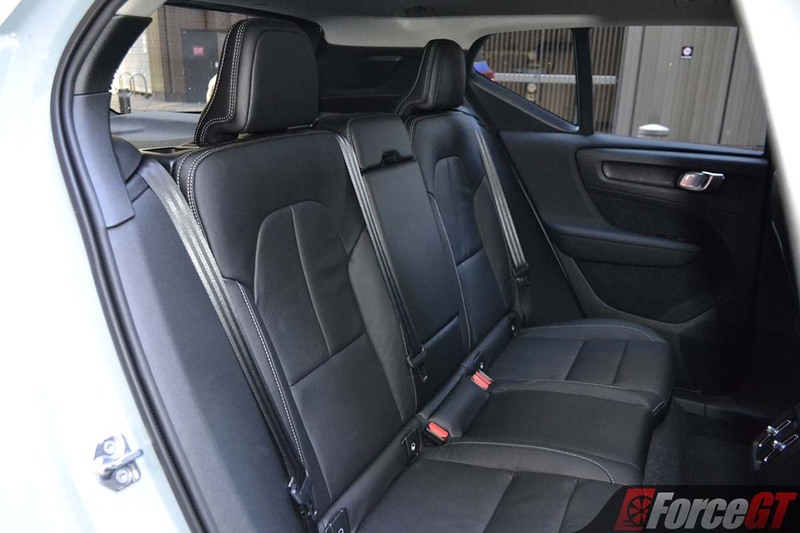 Both utilise a lot of leather, matte-finished switchgear, and more plastic than more expensive offerings from both manufacturers, but as far as the quality of the interiors go, they’re both very good and right on par with each other. 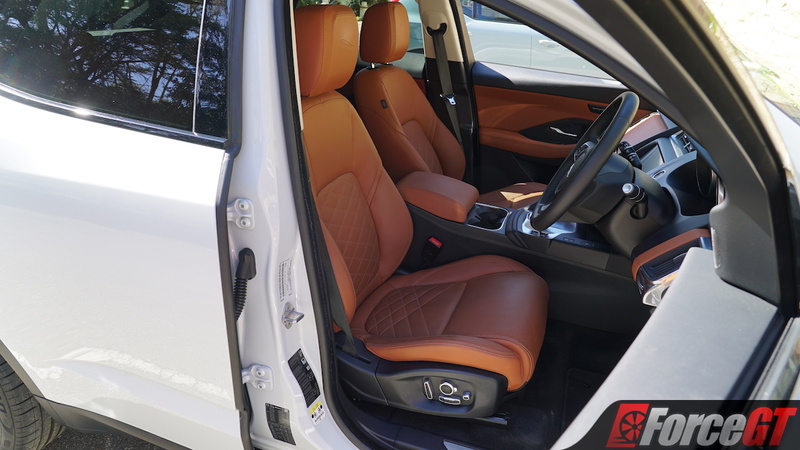 While the E-Pace we had on test was optioned up with the gorgeous Siena Tan interior, it is an incredibly pricey option at $4,490, so that’s a big thing you could save some money on by avoiding, although there’s no question that it looks rather lovely. I do have some concerns regarding the Jag’s ergonomics, however, as the seating position is rather odd, the touchscreen a bit hard to reach as it tilts away from you, and the door pockets, while very large, are rather poorly segmented. 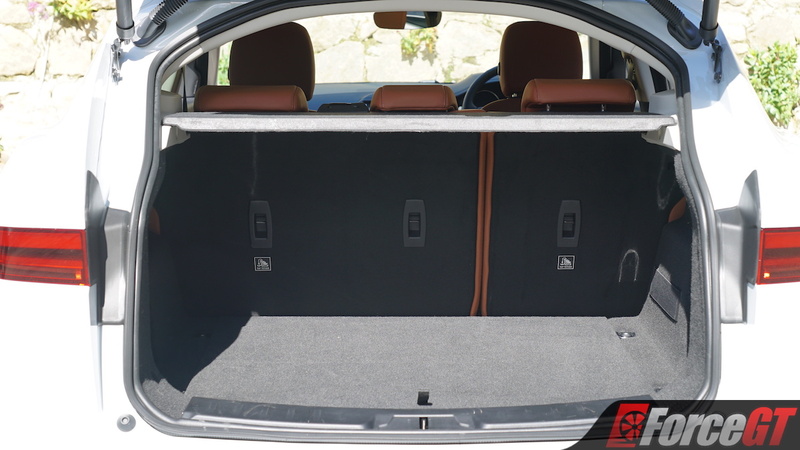 The Volvo’s interior, on the other hand, is unsurprisingly well-designed, with massive carpet-lined door pockets, a huge centre console with its own removable rubbish bin incorporated into it, and even storage trays next to the rear seats, rather unusually. 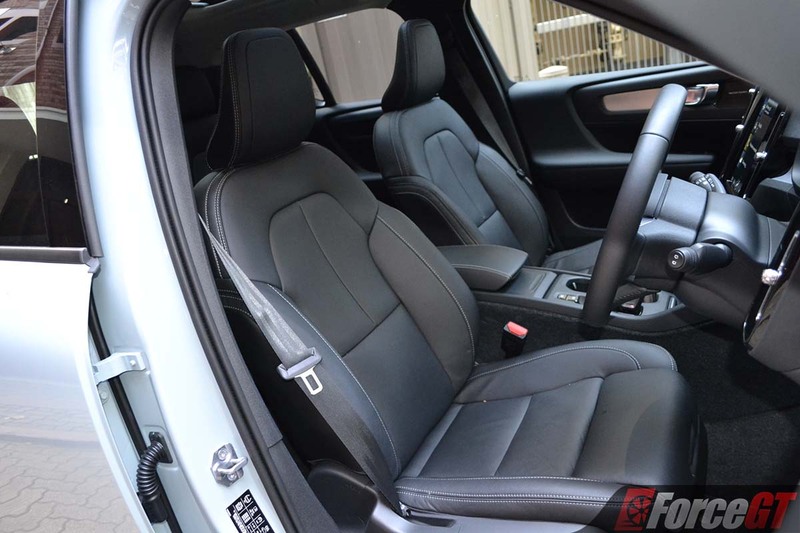 While it’s very hard to pick a winner between the two here, I’m going to give it to the Volvo for its more ergonomic interior. While both cars on test were very well equipped, a lot of that was due to the number of options boxes that had been ticked. 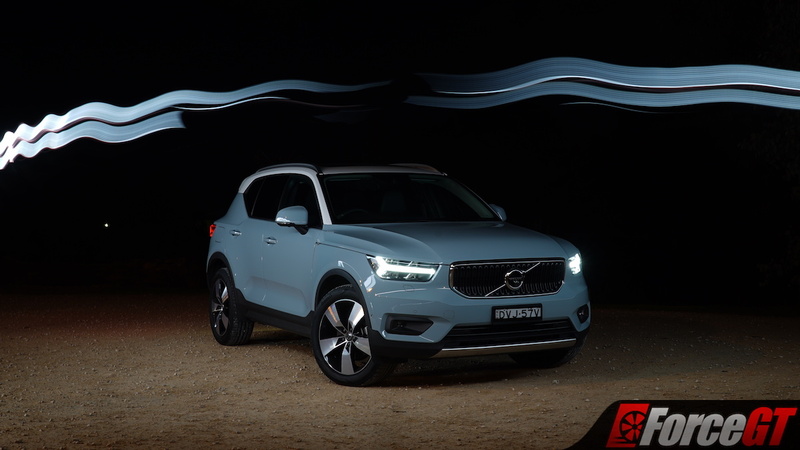 The Momentum trim is the bottom rung of the XC40 range, while the E-Pace S is just one step up from base, and in basic form, a lot of the features fitted to our test cars would be absent. 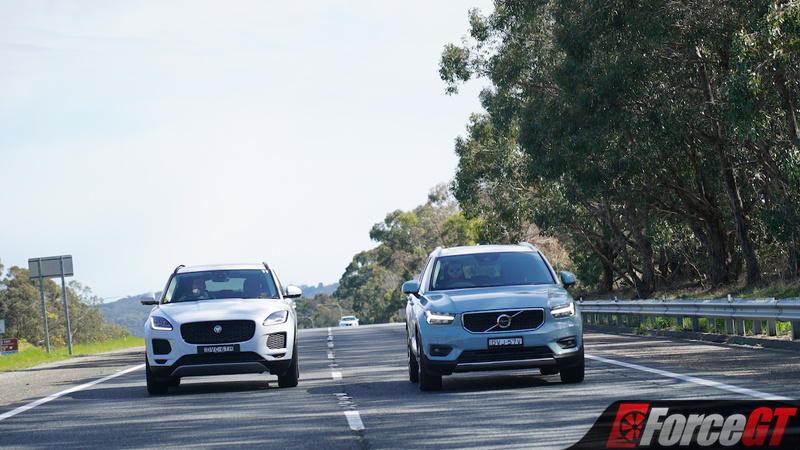 However, the reason the Volvo takes this round is because it’s a lot cheaper to option up to the same level, if not higher than, the equivalently-equipped E-Pace. 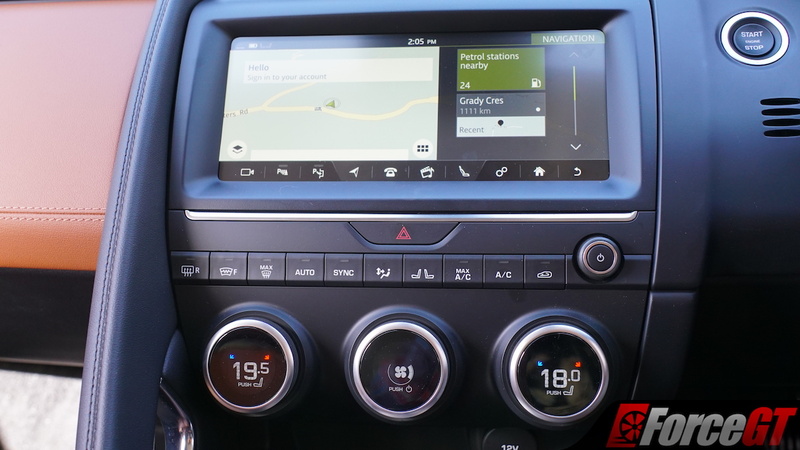 While every option added to the E-Pace on test was one that has to be individually selected, the Launch Edition XC40 adds over $10,000 in extras for just half that – $5,000. This means it offers a 360-degree camera, Harman Kardon audio system, panoramic sunroof, LED headlights with active bending feature, heated leather seats, a power tailgate, and, most impressively, Volvo’s Pilot Assist system – a Level 2 autonomous system that will drive the car itself without input from the driver for up to 10 seconds. 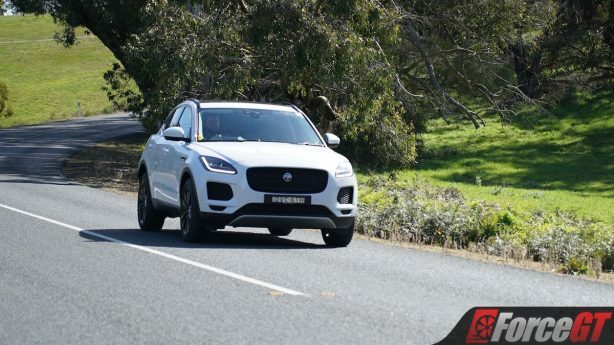 While the Jag matches all of this, with the exception of autonomous driving capability, it costs far more to do so, as the E-Pace on test has a whopping $25,000 in optional extras. 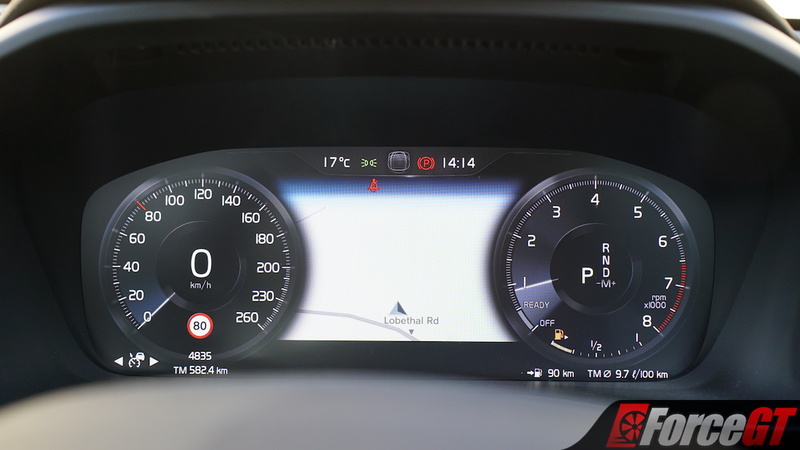 The Volvo cements its firm win in this round by also offering a fully digital gauge cluster, as well as a larger and higher-quality infotainment screen. 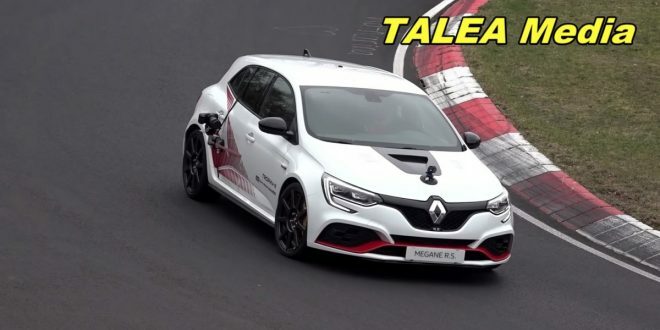 Under the bonnets of both, you’ll find transversely-mounted 2.0-litre turbocharged four-pots paired to automatic transmissions and all-wheel drive. 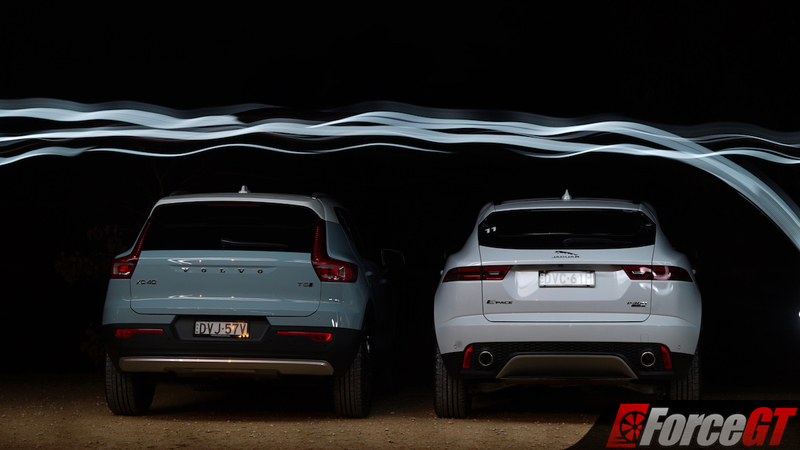 The Volvo is the less powerful of the two, with a still-potent 185kW and 350Nm on tap. 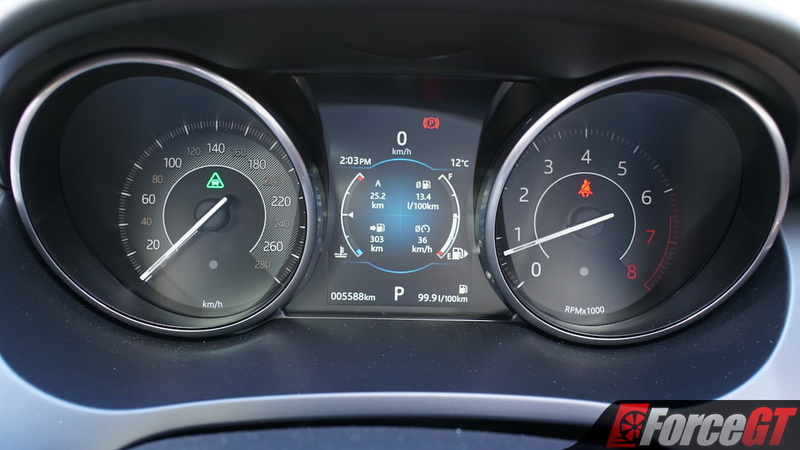 Its automatic transmission is an eight-speed unit from Aisin, while a Haldex-type all-wheel drive system is utilised. 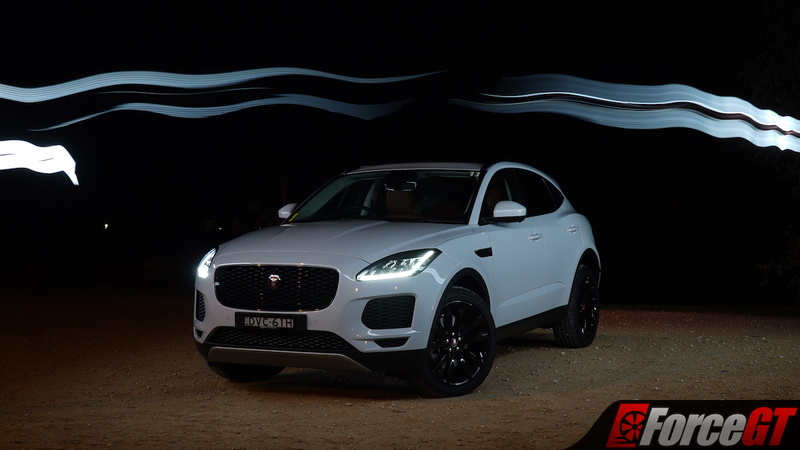 As for the E-Pace, opting for the P300 engine tune gives you 221kW and 400Nm, while it uses a nine-speed self-shifter from ZF Sachs and an all-wheel drive system that utilises a torque-vectoring rear differential, with one of the many displays in the infotainment system able to show you exactly where it’s putting the power to. 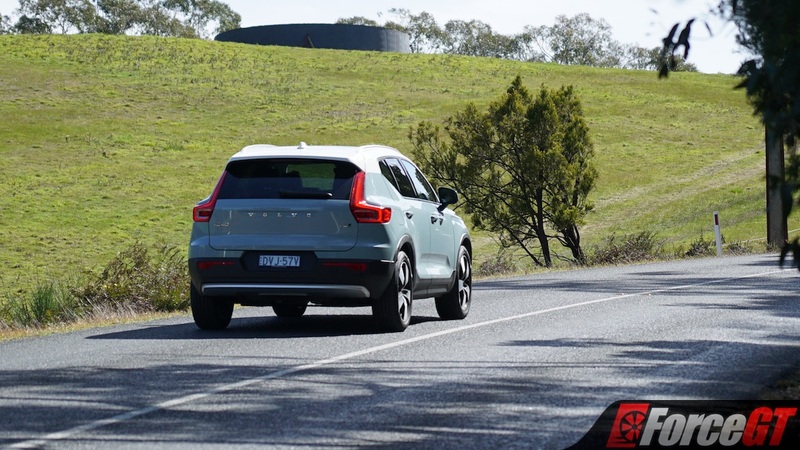 But while the XC40 T5 loses out on power, that’s only half of the story. 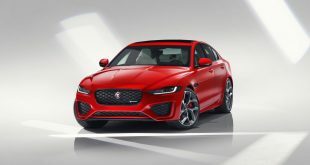 While the Jag might have more grunt, it weighs around 190kg more than the Volvo, meaning the two are evenly matched in terms of real-world performance. Both claim 0-100km/h times of 6.4 seconds, and during our testing, we couldn’t get one to ever pull away from the other. While both certainly feel spritely, the Jag feels as though it has more grunt, but the Volvo hits back with less weight to contend with, helping it feel lighter on its feet and a tad less cumbersome. That’s not to say the Jag feels like the heavyweight it is though. 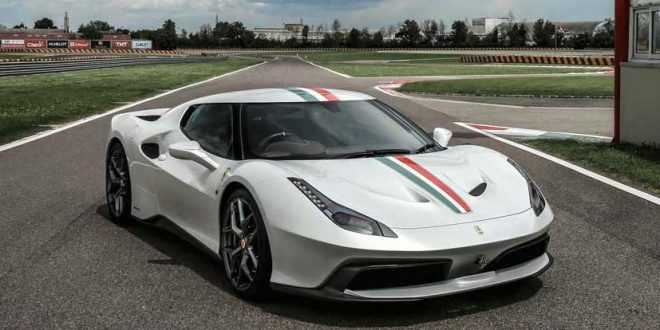 It’s quite the contrary, in fact, as it feels very much like a hot hatch on stilts. It corners flatly and will happily dart into corners, pulling itself back up to speed on exit quickly. The XC40, while feeling similar, does have a slightly softer edge to its performance, although the trade-off is a slightly smoother ride. 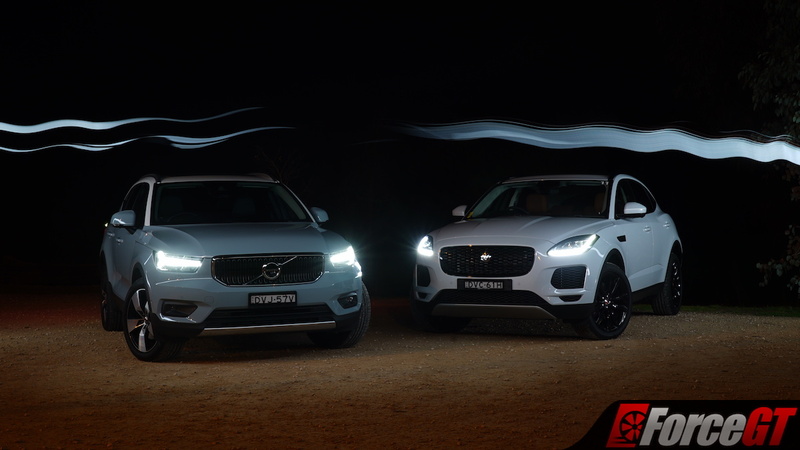 Both certainly offer comfortable rides, however, but the Volvo’s is just that bit more forgiving. 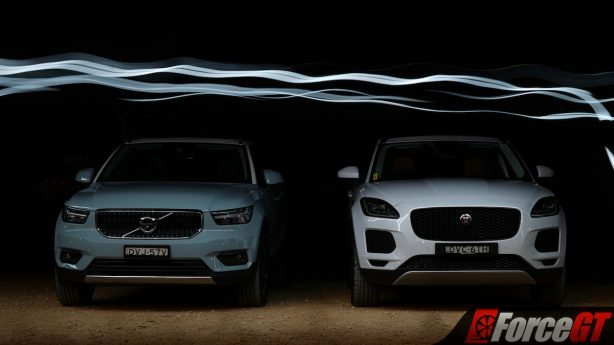 The Volvo has lighter steering, which, while not to the tastes of some, does allow for you to give a finer degree of input, although the heavier and more direct steering in the Jag is better for spirited driving. But it’s not all bad for the Volvo in that regard. 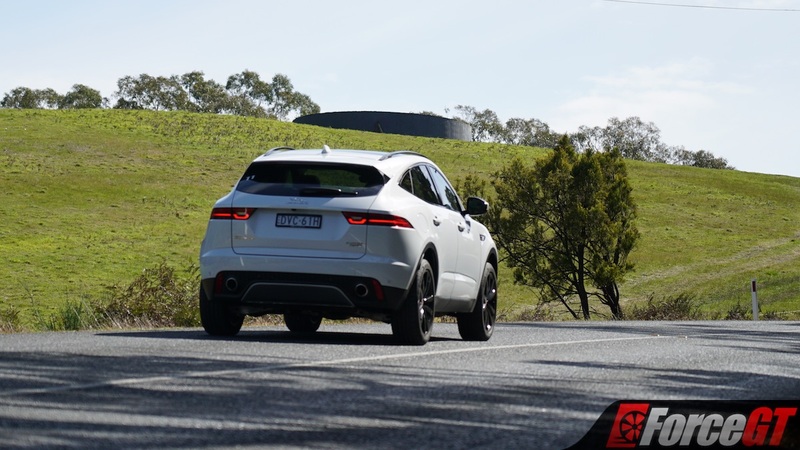 Far from it, in fact, as it still has an eager engine and a similarly hot hatch-like feel to the way it drives – it’s just that the Jag feels tauter when driven hard. 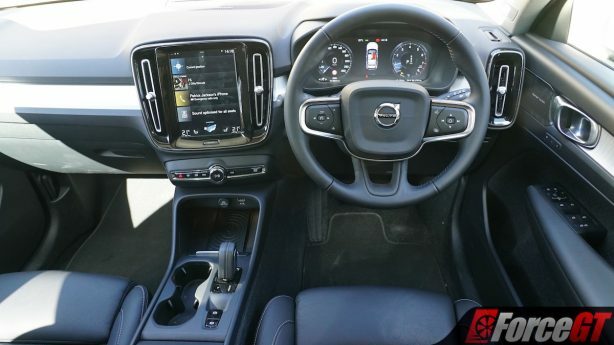 I’d say the Volvo has the edge around town, however, as the light steering and more forgiving ride makes it a fantastic city car, with its punchy engine only assisting you to darting between gaps in traffic. 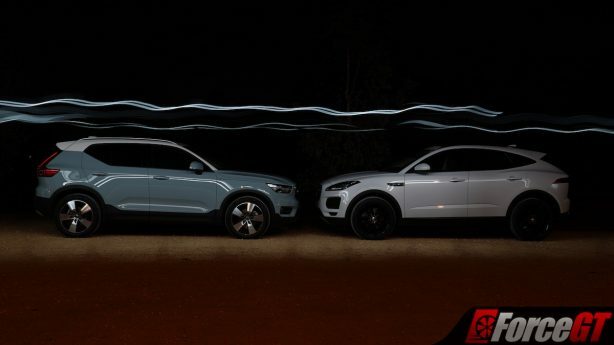 Both work very well in either environment, but the differences in how they ride and the steering calibration of the two is what splits them in this area, as little else will, considering the almost identical straight line performance both offer. I have to give it to the Jaguar though as it just feels more confident being pushed towards the limit, and can also be pushed that bit further than the Volvo – at least with the Momentum fat tyres. 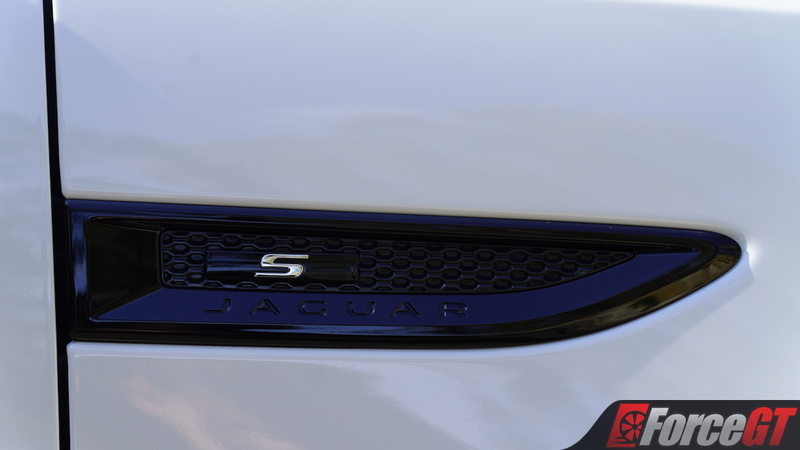 Plus, while the Volvo’s engine feels willing, the Jag’s feels brawnier and effortlessly athletic by comparison. 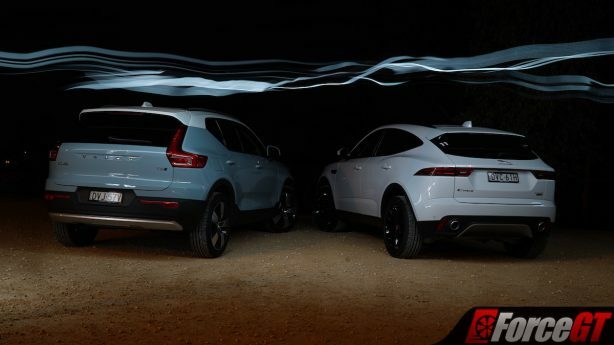 The Volvo really has to give its all to catch up, which it is able to, but the E-Pace simply has an Usain Bolt level of cool to it even at full chat. 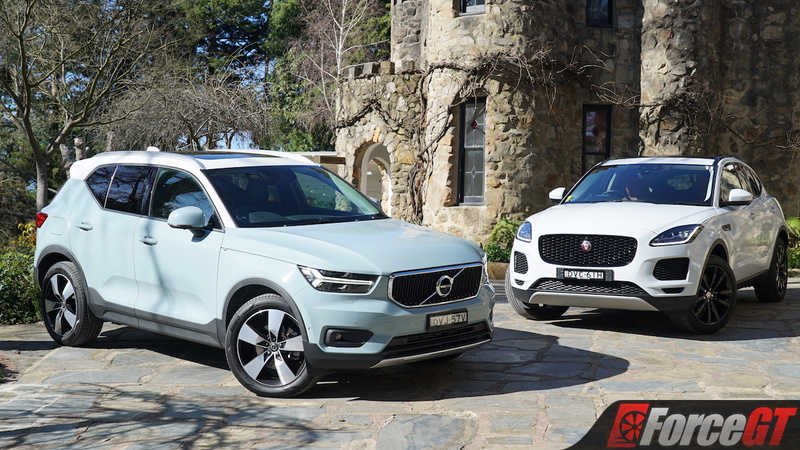 Both the XC40 and E-Pace are able to be purchased with servicing plans that cover all of your servicing costs up front, which takes the place of regular capped price servicing. 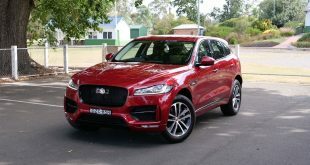 For petrol-equipped E-Pace models, a sole five-year/130,000km plan that covers basic servicing is available for a very reasonable $1,500, with the plan able to be paid for through finance or up front. 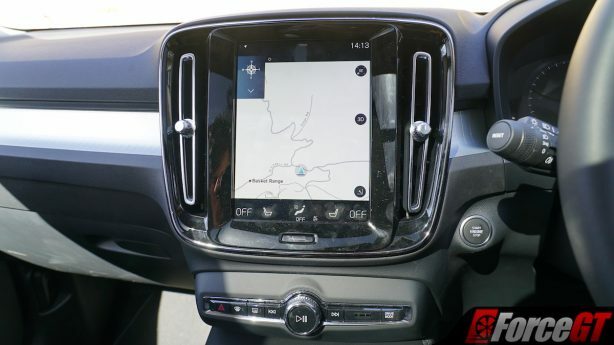 As for the Volvo, there are two levels of cover available – the standard SmartCare servicing plans that cover basic servicing, or the SmartCare Plus plan that also includes a set of brakes and wheel alignments. Both are available for three, four, or five-year terms. The most comparable plan is the five-year/75,000km standard SmartCare plan that costs a whopping $4,030. The SmartCare Plus plan only bumps it up even more to a considerable $6,345. 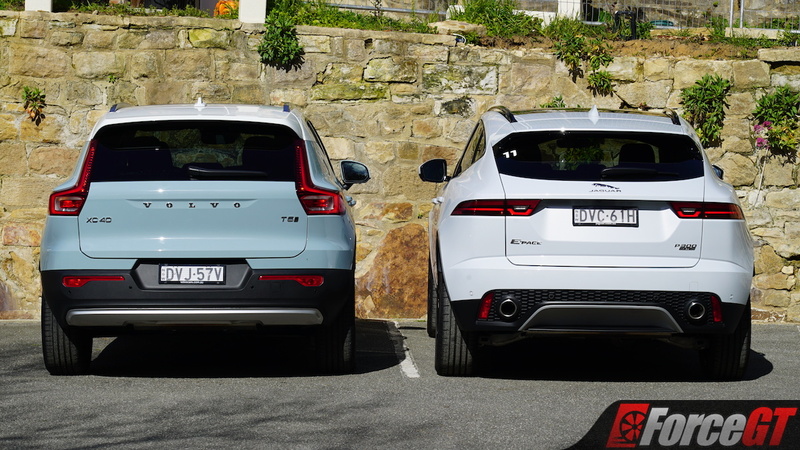 Even when you take into consideration the Volvo costing less to fuel as it used a calculated 9.9L/100km on our 120km test loop, compared to 10.5L/100km used by the Jag, the fact it’ll cost you nearly triple what the Jag would to service means the Volvo is the clear loser in this round. 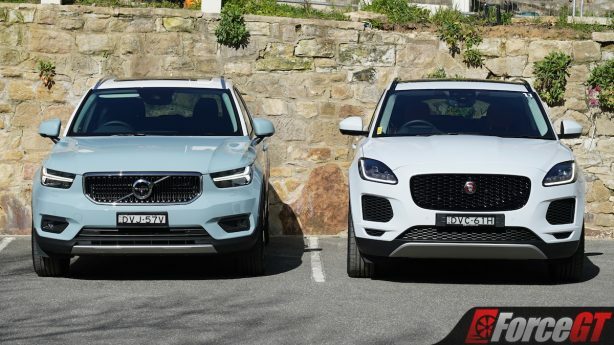 As mentioned previously, you’ll have to option up both cars to get to the points you see here, but it’s an awful lot cheaper to equip the Volvo, with it offering more kit for less. And while the Volvo may be dear to maintain, it’s far cheaper to buy in the first place. 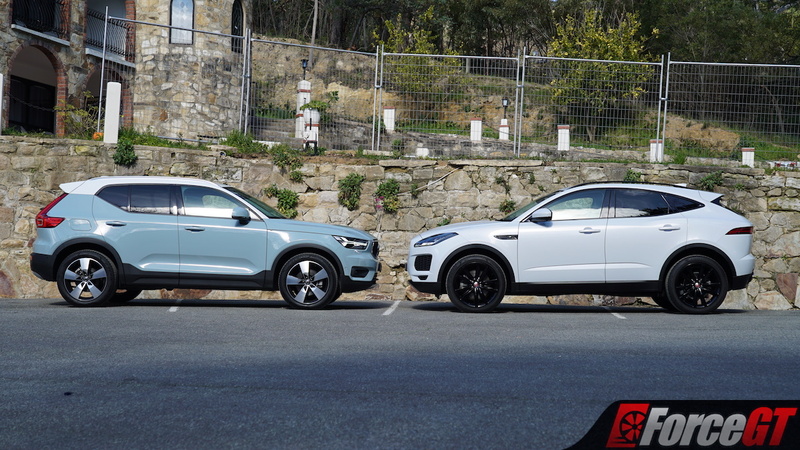 With a base price of $47,990 for a T5 Momentum and the Launch Edition package adding just $5,000 more, it beats out even a standard E-Pace S P300, which starts at $64,020. 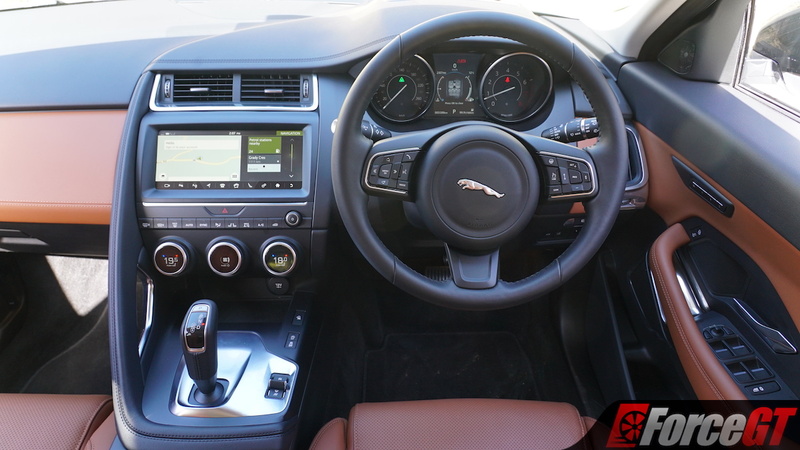 With the vast majority of the Jag’s equipment being optional, that only causes the price to balloon drastically too. 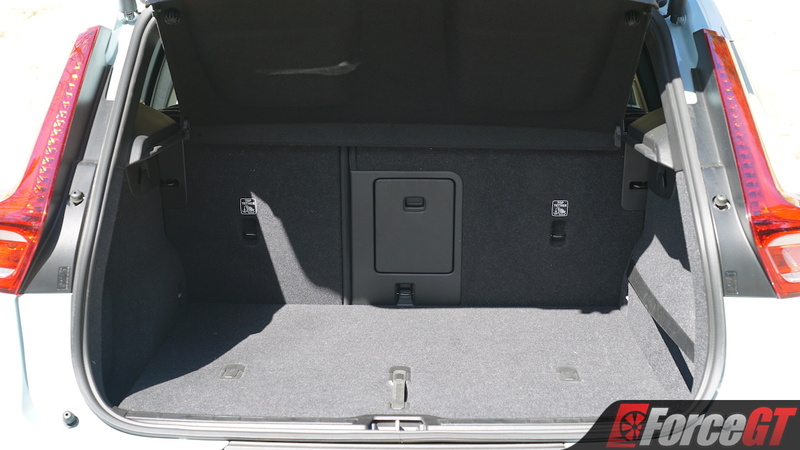 The one we had on test was worth $89,940 with all its extras – a staggering $36,950 more than the Volvo. 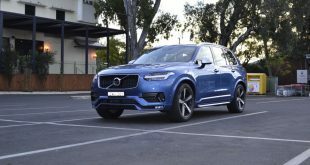 The Volvo might be costly to run, but the sheer savings as far as the initial purchase cost goes means it’s easily far better value for money here, and a less costly undertaking when all things considered. 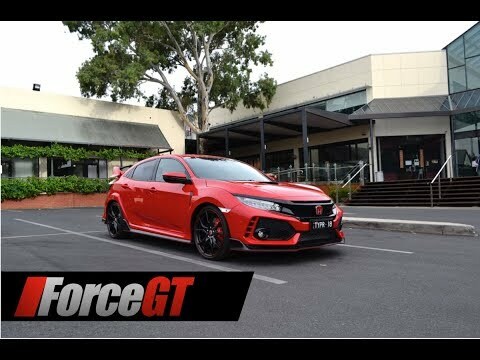 Like our recent head-to-head battle between the Mazda6 and Holden Calais-V, it’s another very hard one to split as both cars turn out to be awfully good. But, there can only be one winner, as hard as it may be to decide. 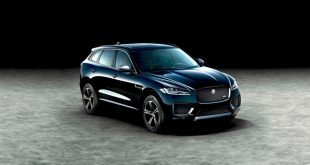 The Jaguar E-Pace is exactly what you’d expect out of a small SUV from the distinctly British marque – it’s good looking, classy but cool, fantastic to drive, and even surprisingly cheap to maintain. For the real drivers out there, this will no doubt be the better pick of the two. 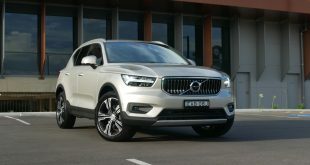 But when all is taken into consideration, it’s the Volvo XC40 that comes out on top in this tournament. 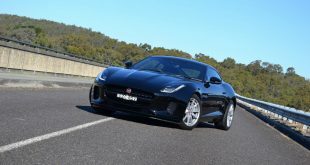 It might be ludicrously expensive to service and not quite as sharp to drive, it’s drastically cheaper and better equipped than the Jag, and its funky looks only seal the deal. Personally, I’d be happy with either as they’re both fantastic little crossovers, and both will no doubt go to do big numbers for their respective makers, but with the XC40 you’re simply getting more bang for your hard-earned buck. 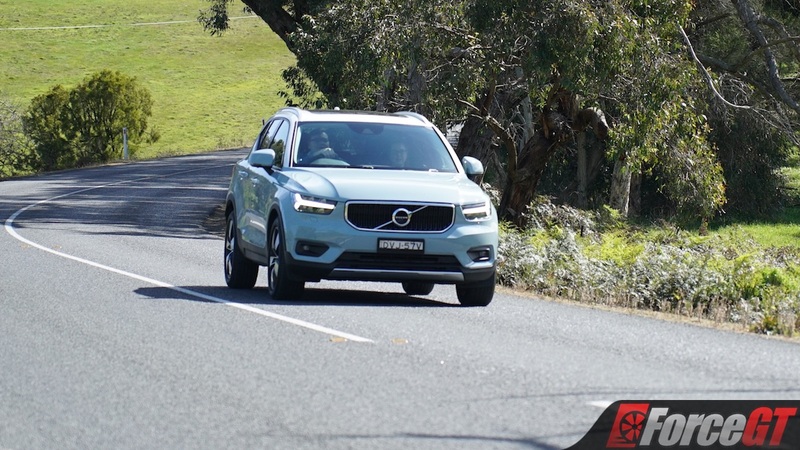 2019 Volvo XC90 T6 R-Design Polestar Review – why buy?